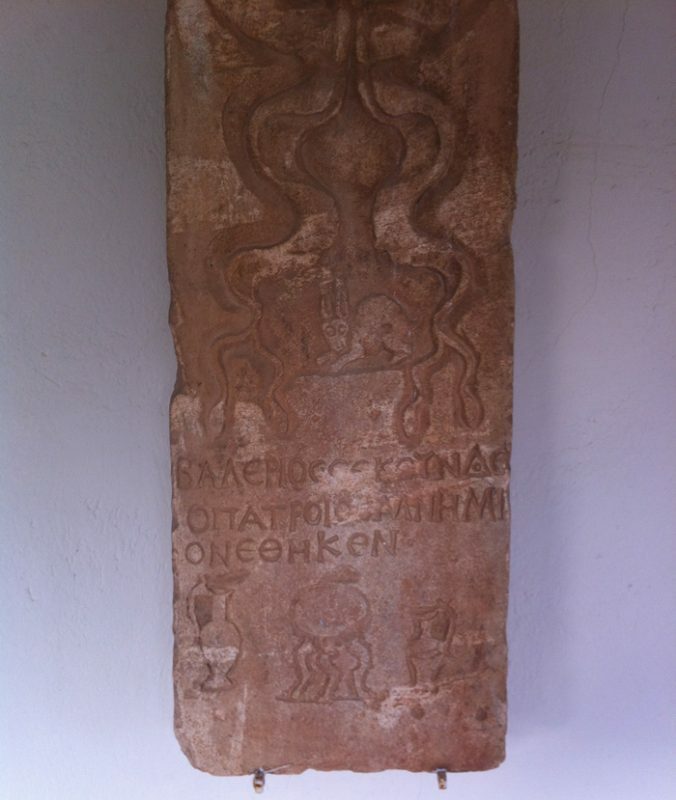 I was recently touring the ancient Illyrian city of Apollonia in present day Albania when I came across a tablet that depicts his noodliness. If you look closely you will see at the bottom of the tablet his holiness the FSM is getting drunk via Illyrian wine jugs. Thank you Mr. Not genuine Uggboots. I find it funny that people think that this so called “Relic” is an actual thing….you can clearly tell it is Styrofoam that has been carved into and painted….. Yes, Annonymouse, the so-called “relic” is clearly a chunk of styrofoam that the Illyrians carved into and painted over 1000 years ago. It is only the scientists who claim that it is stone and legitimate. They base that conclusion purely on physical, observable evidence. Not us. We superstitious religious people have blind faith as our evidence. We believe it is styrofoam, therefore it IS styrofoam. Ha Ha. Hmm. If it is related to Illyria, shouldn’t it be blue around the edges? sites and have found that beer was much liked in that period. And convincing evidence exists that the Etruscans were frequently pirates, especially along the western coast of the Italian peninsula. These early pastafarians would have certainly been familiar with active volcanos. Spaghetti, meatballs, beer, volcanos, pirates . . .the evidence is beginning to pile up for a form of pastafarianism in that society, which the Romans had to destroy because it was too peace-loving. I will be publishing my findings later this year. Interesting. Please do publish your findings. We need to know the TRUTH. Dear Jim, thankyou for your valuable insights. Tell us more.